Seit 2017 arbeite ich fortlaufend an meinem freien Projekt zur Natur in Deutschland. Nach mehr als 20 Jahren der Dokumentarfotografie für politische und soziale Themen hat sich mein Verhältnis zur Natur intensiviert. Im Fokus stehen für mich vor allem die Bäume, für die ich im Laufe der Zeit großen Respekt entwickelt habe: Ihre komplexen Strukturen, ihre Wandlungsfähigkeit und ihre Schönheit. Die Arbeit umfasst alle Jahreszeiten. Since 2017 I'm working ongoing on an independent project about nature in Germany. After more than 20 years of documentary photography on political and social topics, my relationship to nature has intensified. 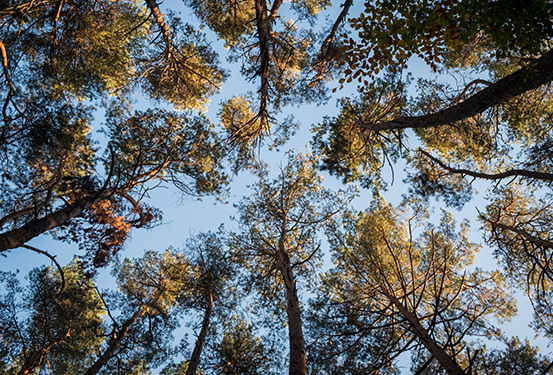 My focus is on trees, for which I have developed great respect over the years: their complex structures, their ability to change and their beauty. Above all, however, the need for protection - nature does not need us, but we need nature. The project covers all seasons. Erste Fragen und Antworten von S. Alphonso im Kulturfeuilleton "Tiefgang"
​From now on it is possible to buy signed books on my site and from autumn 2017 we will offer exclusive artist prints in a small edition. It's all about time and water: Just came back from a journey from Swaziland. Again, I was very aware of how it is to live without running water and electricity, since my first trip to KENYA in 1998 for the magazine GEO. It was a journey in a different time. Work in progress. Dismantling of the permanent photo exhibition "Istanbulum"
Group exhibition "Angekommen. Das lange Warten." Atelier + Kantine in Dömitz: "Weggehen. Ankommen. Flucht + Aufbruch in Europa"
Photos from my series: "Angekommen. Das lange Warten." "The vision of the warrior". FREELENS Gallery in Hamburg: "Bitte warten..."
together with Claus-Peter Lieckfeld (author). "Day by Day – in Kambaland"
Work in Istanbul. And German magazine PHOTONEWS published a comprehensive report about my work. View PDF version here. Kindernothilfe Media Award 2nd place together with A. Gardiner for the work "The Brave Children of Kampala", in the categories of "Children's Jury" and "Childrens Rights in One World"
"Day by Day - in Kambaland"
"Turkish/German People and their stories in turkey"
in Turkey with the Cultural department of the German Embassy. 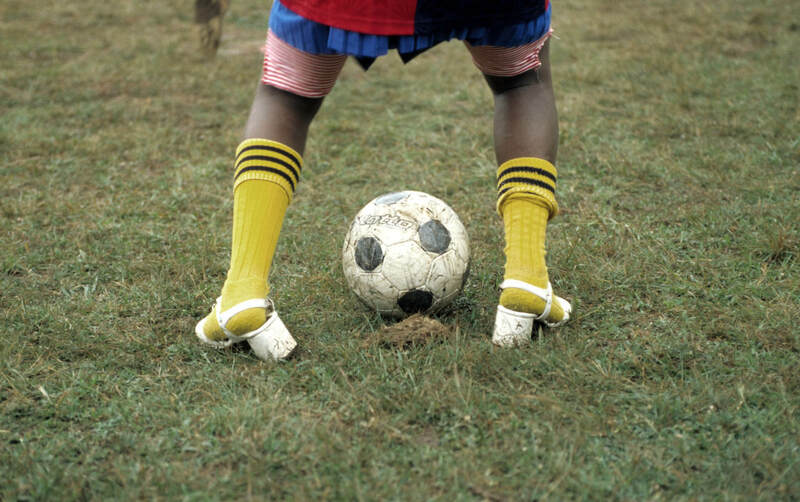 African Football: "Focus on background"
"The Germans and their National Symbols"
"Il corpo imprigionato, African Images"
Andrea Künzig is a photographer based in Berlin. She has lived and worked in various countries in Africa and Asia. 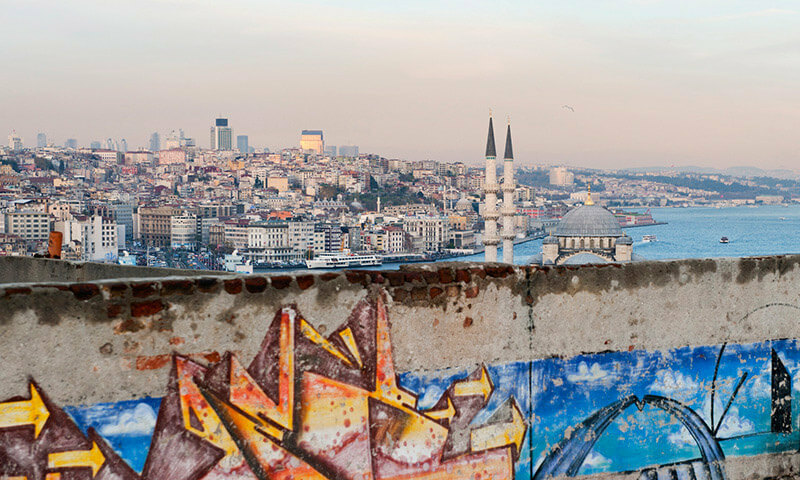 One of her latest projects has been documenting People of Turkey, while living for 4 years in Istanbul (2010-14). Since 2017 she 's working ongoing on an independent project about nature in Germany. Andrea received her degree in Political Science at the Free University Berlin. In 1994 she went to Jerusalem to document the Israeli-Palestinian people between Peace efforts and conflicts. This was followed by long stays in Israel, the Arab world and in Kenya (1994 to 1998). Much later, she attended a professional class in Photography by Prof. Arno Fischer in Berlin from 2001 to 2004. Andrea undertakes documentary photography projects worldwide, focusing on political, social and humanitarian themes. Her clients are distinguished magazines and newspapers, including GEO, Time Magazine, The National Geographic Traveller, Deutsche Welle and Die ZEIT as well as NGOs, such as the German Foundation for World Population, SOS Children's Village, Terre des Femmes and UNDP. 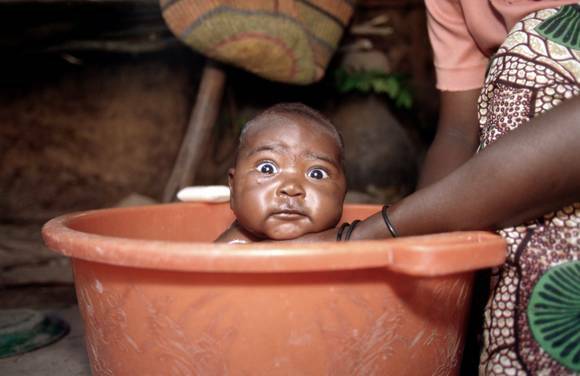 She has received several awards and grants for her photographic work, most recently a media prize from "Kindernothilfe" on the theme: "The brave children of Kampala" (2013). She has received two "VG Bild Art" scholarships from Germany, and from 2012 to 2014 she worked at the Robert Bosch Foundation as a Jury member on the "border crossing" program. Andrea has published two books: " Visions: Palestine", 2004 and "Istanbulum", 2010. "The brave children of Kampala"
"Children rights in One World"
Welcome again to my page. I hope you have found, what you were looking for. Istanbul is a melting pot, a cosmopolitan city with all the hallmarks of a crossroads for millions of people from many diverse cultures. Currently, it's the city where I live. Different lifestyles rub shoulders here – modern and traditional, religious and secular – all existing side by side. The majority of Turkey's inhabitants are Muslim. In these days of revolutionary uprisings in the Maghreb and the Middle East, many see Turkey as a role model for the Arab states on their way toward democracy. I don't believe that this comparison is valid, though, because the history of this country is so utterly unique, and even many Turks and the opposition parties themselves seem to have their doubts about the culture of democracy. Istanbul is a seismograph for what is happening in the rest of the country, holding up a mirror to the social and political changes taking place there. In this project, I concentrated on people's everyday lives, exploring especially how modern lifestyles coexist with traditional Islamic culture. In many cases, the photographs only call to mind on second glance other images that reveal a deeper meaning therefore raise questions about politics and society. 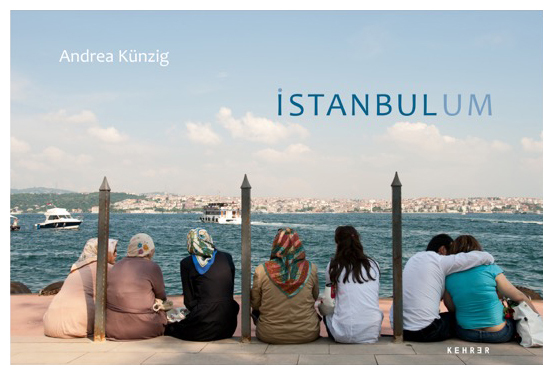 The photobook with the same name "Istanbulum" (My Istanbul) is published in three languages; Turkish, English and German by Kehrer Publishers (Verlag). Photography: Andrea Künzig. Essays: Oya Baydar and Réka Gulyás. For the children who have lost their parents to the HIV/AIDS epidemic, there are many repercussions. For one thing, the physical and emotional burden that they bear is extremely difficult. The oldest child is not only left alone without their parents to take care of them, but many also have younger siblings who need their attention. And it is not easy to cope with AIDS-related stigma, which includes abuse, discrimination and poverty. There are no statistics to show the number of children who are effectively the head of the household in Uganda. "The Brave Children of Kampala" shows the everyday struggles of a child–headed family and the neighbouring children. The story and the photographs in this project earned second place at the Kindernothilfe Media Prize, Germany. Since 1998 I have been photographing a tiny Kenyan village, and in particular the birth and growth of a young family's son Francis Mutia-now 15 years old. This has been a long-term project in which I also lived in this village for half a year on assignment for a GEO magazine. Also photographers went to Vietnam or photographed in Germany to show the situation of these children. The general theme of the project has always been to keep in mind the questions; what are the Basic Needs of a child living in Africa?, and what are the living conditions of the people, especially the women and children, from this Kenyan village in particular? In this two-part long-term project, Andrea focused on the questions: "What are the stories of the people in today's Turkey, and what does their environment look like?" She spent several weeks travelling around Turkey, interviewing and painting a portrait of German-Turkish returnees to Turkey. The focus of the photographs are experiences, desires and challenges that shape the lives of people between Germany and Turkey, and to draw as diverse a picture as possible, Andrea drove to the cities of Nusaybin, Antakya, Ankara, Alanya, Istanbul, Izmir, Eski Halfeti, Mardin, and the surrounding villages. For the series of portraits the photographer has chosen to represent both the old and the young people, and in this way, it becomes clear how different the individual life paths of returnees are in Turkey - from farmers to a successful soccer star. The project outlines not only the traditional success stories, but also the bumpy road of life. As different as the stories of the individual returnees may be, they all have in common the time they have spent in Germany – the memories, good and bad, even if only in the form of delicious pretzels. Erol Varlıklı, "baker without borders"
In the second part of this project on Turkey, Andrea photographed in different areas and regions in which to portray the way people live. This also provides a reflection of the current situation in Turkey. To get a comprehensive picture of Turkey, Andrea spent time photographing in Kurdish villages, in a deserted town formerly inhabited by Armenians, and along the Syrian-Turkish border and in the flooded areas of the dams in the East of Turkey, as well as taking pictures of the old souk in Urfa, the historic town of Mardin in the Mediterranean region, and the capital city of Ankara. 'East of Turkey' is a work in progress. Mongolia is a land of extreme vastness and untouched nature. This is traditionally the home of nomadic peoples belonging to the Altai mountain range, who wander with their families, horses and yaks. For centuries, they have traversed the region with their mobile homes, or yurts. By contrast, in the expanding capital, Ulan Bator, a large young population is enjoying new freedom through contact with the West, and the mining of mineral resources discovered there is bringing increased foreign investment to the capital with all the negative side effects as well. 150,000 roses are harvested every day on the Holleta Farm in Ethiopia. The 1,400 unskilled workers work six days a week here and earn 40 cents a day. The flowers are kept refrigerated during the overnight flight to the Netherlands and from here the company Karuturi distributes the flowers around the world. Karuturi is a global company and currently the world market leader in the flower industry, providing seven percent of all flowers bought in Europe. The company's customers include discount stores such as Aldi, Rewe and Edeka. Most of their flowers are grown in Ethiopia. Ethiopia attracts international investors with the promise of cheap labour, cheap land for rent, and tax incentives for growing corn, wheat and rice. The flower business is especially lucrative. Holleta Farm is forty kilometres from Ethiopia's capital, Addis Ababa. Over the past 5 years, Karuturi has expanded its business and farm to over 250 hectares. Last published in Financial Times 2013. The St Nikolai orphanage in Bulgaria is directed by Ivan Ivanov, an Orthodox abbot, aged 65. The orphanage is located in the village of Novi Han, fifteen kilometres southeast of the capital, Sofia. Bulgaria is one of the poorest countries in Eastern Europe Very often, children fall through the bottom of the grid of everyday life; the EU made the post-communist predecessor government slash the funding for poor children. In traditional agricultural areas, such as the areas to the south of Sofia, the unemployment rate is at about 26 percent. Before establishing the orphanage, Ivan spent three years in prison, having been arrested for protesting against the nationalization of his small farm. During his time in prison, Ivan dreamed of setting up a home for orphans, as well as single mothers and their children, and he started to build the home as soon as he left prison. During the Communist period, the practice of religion was forbidden. Out of the seven Orthodox churches which were formerly in the area, the only one left is in Novi Han. The others were all destroyed by the communists. Ivan's orphanage has provided a new home for 135 children and mothers. Many of the children who come here have been deserted by destitute mothers who are unable to keep up with the expenses of daily life. A father who is out of work no longer needs to pay maintenance in Bugaria, and laws to protect the poor and their basic human rights seem to exist only in theory. Of course, it takes a lot of work, and Ivan works hard to get support from all over the world. At the moment, the orphans use their own land where they plant and harvest their vegetables. For their protection, none of those shown inside the orphanage are named. Last published in Chrismon Magazine 2012. "15 years of companionship - a Kenyan village and its people"
Since 1998 I have been photographing a tiny Kenyan village, and in particular the birth and growth of a young family's son Francis Mutia-now 15 years old. This has been a long-term project in which I also lived in this village for half a year on assignment for a GEO magazine. In 2013, I interviewed Mutia and made a short multimedia piece about his daily life at school. Very sorry, but your browser does not support the video tag. To view this video, please download the latest version of e.g. Firefox, Opera, Safari, Chrome or Internet Explorer. Maasai leader Daniel Leturesh had a vision. After recruiting the support of Evan Mkala from the International Fund for Animal Welfare (IFAW) in 2013, his idea started to become a reality. What emerged was the first protective corridor for migrating elephants. Kitenden Corridor, as it is known, connects two national parks in Kenia, Amboseli and Chyulu Hills, and extends down to the nearby Kilimanjaro National Park in Tanzania. 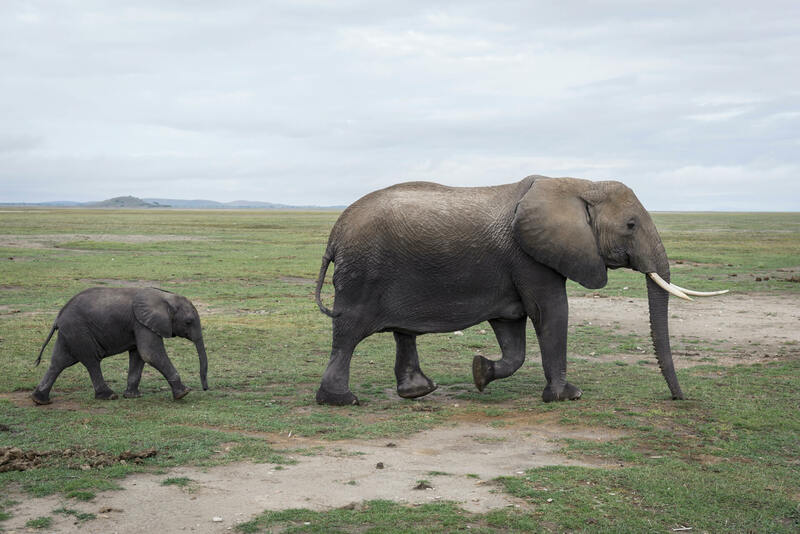 Thanks to the efforts of the two conservationists, Amboseli National Park already has almost 1400 elephants. Poaching still remains a massive problem around the world: the global community loses 35,000 elephants each year due illegal hunting motivated by ivory. In Kenya, elephants often compete with local inhabitants for land. They are killed in conflicts over fields for growing crops or grazing area for livestock. Kitenden Corridor is a green corridor created primarily for elephants but other animals as well. It provides a safe haven for elephants to roam freely from one park to the next without falling prey to poachers or being killed by local farmers. This project is still searching for partners. In 2014, Leturesh's efforts were recognised by the Disney Worldwide Conservation Fund. Since 2017 I'm working ongoing on an independent project about nature in Germany. After more than 20 years of documentary photography on political and social topics, my relationship to nature has intensified.My focus is on trees, for which I have developed great respect over the years: their complex structures, their ability to change and their beauty. Above all, however, the need for protection - nature does not need us, but we need nature. The project covers all seasons. Aus der Serie "Nature_up side down"